Rhinoplasty involves surgically modify the anatomical structures of the nose and get a change in form. 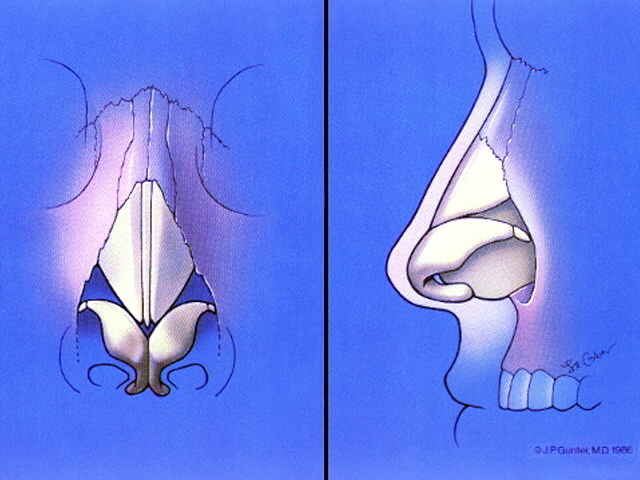 Western rhinoplasty, is almost always reduced. It is requested to reduce excessively prominent features: excessive hump, a bulbous tip, or both. 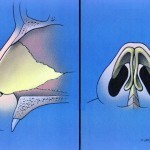 In addition, we can find varying degrees of nasal deviation, trauma, related to alterations of the septum. Rhinoseptoplasty is correct at one time aesthetic structural defects and deviation of the nasal septum or septum. This intervention has advanced its technical possibilities and is the highest degree of artistic sophistication of Cosmetic Surgery. Through open rhinoplasty the surgeon can modify, accurately, structures like: cartilage and nasal bones. Rhinoplasty is usually performed under general anesthesia, which ensures safety and patient comfort. Today anesthesia is very safe thanks to pharmacological and technical advances. In cases of mild rinoplastias scale or simple tweaks (such as a reduction nostrils) may be carried out under local anesthesia and sedation. The patient leaves the operating room with an intranasal tamponade (remains 12 hours) and a nasal plaster (pulls out a week). The end result will be apparent past 6 to 8 weeks, once the swelling has subsided. Rhinoplasty is an intervention that can bring about a change in your life. It is recommended for anyone who is not satisfied with their nose or suffering complex. 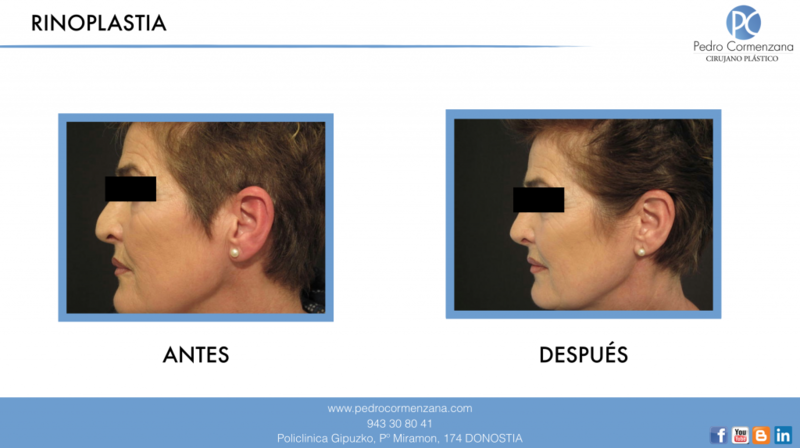 The surgeon can harmonize their features and improve facial proportions. Like other procedures should not be raised to please your partner or others. 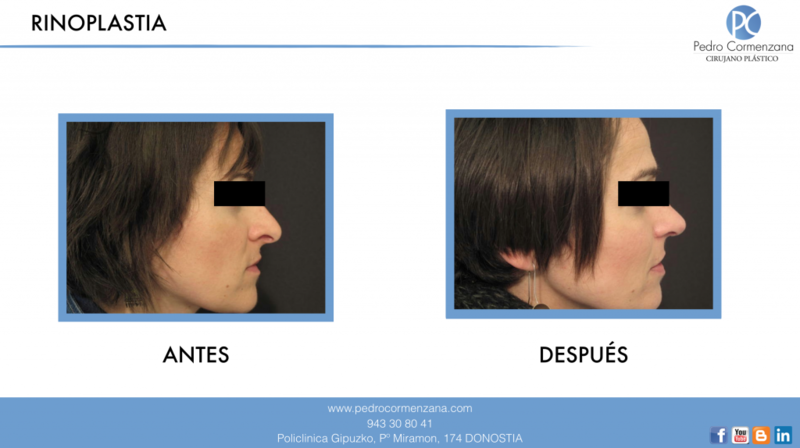 Rhinoplasty produce permanent changes. The surgeon should explain all the details before surgery to understand the process and also have patience because the end result takes at least one month to complete.